Home / MOVIE REVIEWS / Movie Review: "Metro Manila"
"Metro Manila" is feast for the senses. The movie has this bittersweet appeal of reality and poetry. The vignettes of familiar sounds and places were intensified by effective editing. The texture of the film and the interplay of the characters on the plot fits perfectly. Metro Manila captures the sights and sounds of a bustling city filled with drama, a heist plot and a little bit of crime thriller rolled into one movie. It chronicles the story of a Filipino farmer, Oscar, who took a chance and left his hometown in Baguio to find a better job in Manila. But when he meets an armored van driver played by John Arcilla, his morals are put to test as he takes on a job not very many are willing to take. 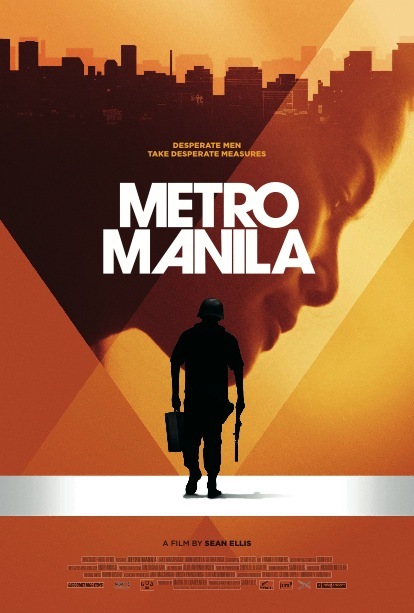 “Metro Manila” was shot entirely in the Philippines and features a cast of Filipinos. More of a slow-burner than an outright action film. What you thought as another simple independent film turned out to be filled with unexpected twist and turns. For this particular film I enjoyed the portrayal of Althea Vega. Her acting is just right. It was just the right mix of controlled emotions and sincerity--far from her previous film characters. Also, I must admit that John Arcilla's performance was as brilliant as always. His character has depth and intention, and John Arcilla delivered it with perfection. Meanwhile, Jake Macapagal's character started very simple and ended with a great surprise--far from my expectations. The characters slowly develop as the plot progressed. I am so thankful to have the opportunity to watch the press screening of this film the other day. Metro Manila depicted views in poverty in a third world country. The film presented it to the audience in a straightforward manner with a play on flashbacks and intertwining twists.The only thing that made me feel different in the film was the mysteriously teleporting-like feel of some places. There are some scenes edited as if they are just walking-distance within the metro (It wouldn't be a problem if you are not familiar with the places though). The film editor has woven the places, scenes and shots in a way that it attracts the audience to pay more attention to the details and those images that you thought was just a random scene. I must say that I was very impressed by the over-all charisma of the "Metro Manila". Here is the trailer of the film. Try to watch it on the big screen this coming October!